O’Neil understands the many challenges facing modern brands to maintain consistency and quality in their print materials. Creating and updating branded communication pieces can become a daunting task, especially when different team and departments have complex print needs. That’s why O’Neil created O’Neil Direct, an intuitive online portal to organize, edit, and execute all of your team’s templated print pieces. Using a customized, user-level managed interface, organizations are able to have greater control and ease when updating, creating, and ordering new materials such as business cards, brochures, promotional pieces, and more. 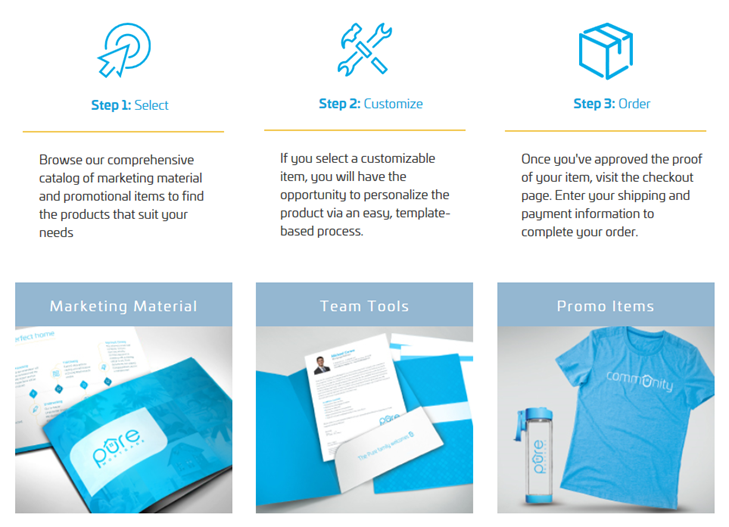 Brand and marketing managers are able to upload the materials the Portal, set the fields available for edit, and through a personalized login, give their teams more structured freedom to immediately create compelling, consistent materials for all of your organization’s numerous materials needs. Upon selecting marketing pieces and editing the available fields, users can order the items directly on the portal, including billing information, flagging an order for approval, and designating shipping addresses. Organizations are given extensive flexibility to tailor O’Neil Direct to integrate with their existing approval processes, brand management strategies, and marketing tools such as a CRM. The end result is a powerful tool to streamline your branded communication creation at all levels of your organization. Whatever marketing and promotion pieces your brand uses to make a powerful statement, O’Neil can help you keep track of all the important details of successful print marketing. If you are interested in learning more about how a custom O’Neil Direct solution can transform how your organization handles your branded print communications, get in touch with a specialist today. Or, login to your own O’Neil Direct portal.